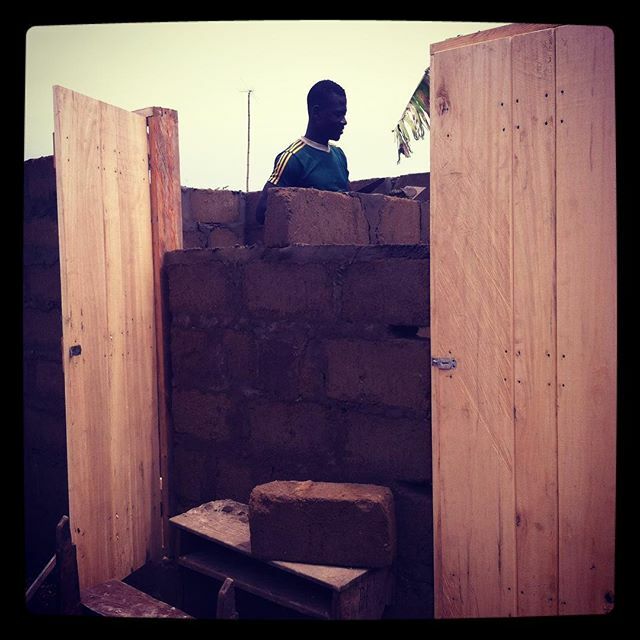 Gabo one of our hardworking masons is making sure Akorabo Methodist have a good toilet. 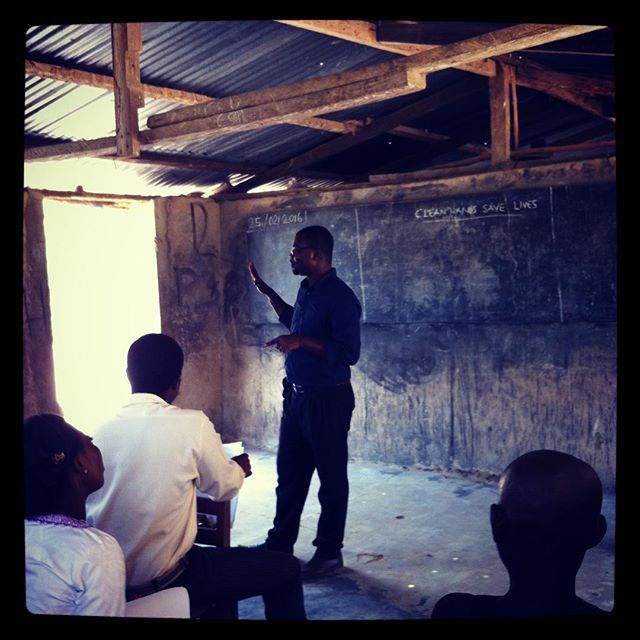 Our incredible artist at work – King Yobo (ABENTA teacher and VbV worker). 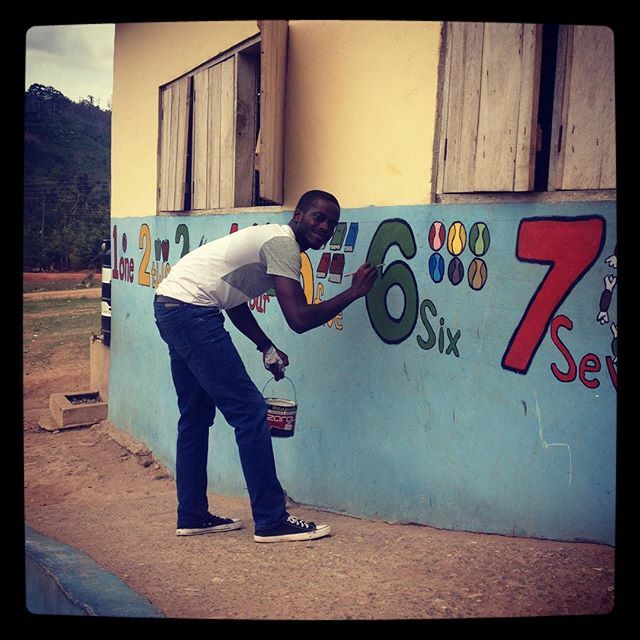 He has designed, drawn and painted the English alphabet, numbers 1-12 with visual aids and diagrams for computer lessons. This is a big project. By the end Yobo will have painting the whole school with learning aids specific to the ability of the students in that specific building. Great work sir! We thank you for your efforts. Master Gyampoh leading some members of the village of Oboase-Wawaase on the need to wash hands with soap and running water. 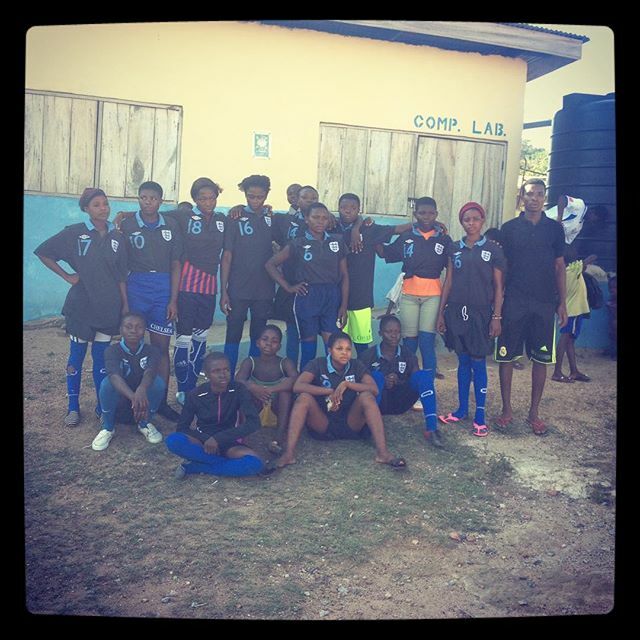 Today is the first home match for the ABENTA girls team I will be back with the score line after the first half.